To be successful, every business needs to have the mindset to do whatever it takes to connect with your consumer online. In the case of home builders, you’ve got to have an impressive site to showcase your art. An accompanying mobile or a responsive site will help land customers that check out your company on a mobile device. Once you’ve got an attractive site, it’s important to focus on other ways to draw people into your brand. Blogging is an important component of any brand’s online presence. With fresh, relevant content on your site, essentially, Google will see you as more authoritative and that will increase your online reach potential. 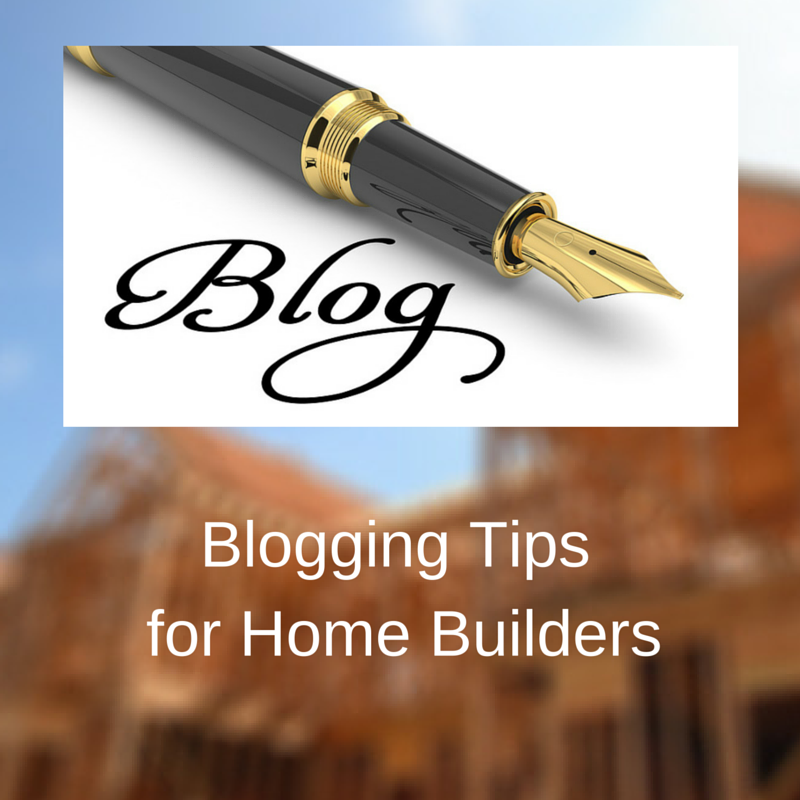 Beyond the Google math and more importantly, blogging is a personal, immediate way to communicate with potential home buyers online. Your consumer can get information and news without any added pressure to purchase. Potential home buyers are interested in your company and how you do your work. Update them on upcoming developments, the building process and the design process. Are you involved in a lot of green building with high energy efficiency standards? Do you know specifics on how much manpower and material goes into a specific home? This is a good opportunity to go into detail on topics that you wouldn’t have time for otherwise. Taking the time to feature a location you’ve just finished is both an easy topic (you already have all that data at your fingertips), but also a great way to bring attention in. Do you have a new community you’re opening? What about a sale or event at a model home? This is a great way to get the news out – and if you’re the only one talking about new homes in that community, you’re sure to get noticed. What’s going on around your communities? You have an ear to the ground in the places home buyers are looking, so share what attracts you to the area and post news! It creates a real sense of community for your readers already moved in and others following you as well. What if there’s no news to share? As a builder, you have an internal database of information first time homebuyers need. Whether it's a brief explanation of mortgage terminology or, suggestions on preparing a home for winter, your insider information is perfect for the slow times. We hope these ideas help jumpstart your blog. Home buying is one of the largest financial decisions a person can make. The more information you put out, the better chance you have to earn the buyers trust and secure the sale.